The zoo is wonderful — it has seals and giraffes and elephants and tigers, and Benny’s favorite, a little monkey named Amos. It also has a mystery. Someone is mixing up signs, switching off electricity, and endangering the animals’ lives. 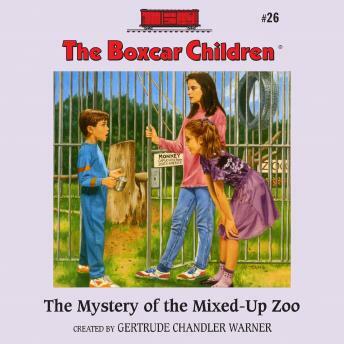 If the Boxcar Children want to save the animals, they’ll have to solve the mystery — and fast!